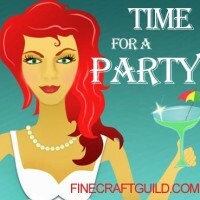 Welcome to today’s linky party! It’s been a busy week for us. We posted great free tutorials & patterns (See right bar). How about you? I can’t wait to see your great new creations and DIYs. This whirling little girl’s Fall hat is a stunner! It’s made by Rachel, The Philosopher’s Wife ~ love that blog title ~ for her daughter. It’s hands-down my favorite submission in last week’s linky party. I am so tempted to put more than one photo up, as Rachel took some good shots of the hat and her darling in it. 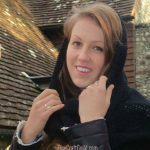 Rachel shares where she found her free knitting pattern for the girls hat. I noted that the hat pattern comes in sizes from preemie to adult size, so you can make this hat for all members of the family. I read up on the pattern a bit and noted that the pattern is a rather tight. I suggest you use a size bigger than you think you need. Really. 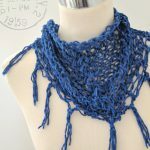 What’s interesting about this free knitting pattern is that is starts at the rim and then works upwards toward the top center, rather than spiraling down and out. Apparently, it looks more complicated than it is, although it is knit in the round. 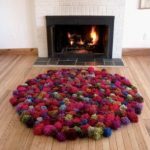 Perhaps a wonderful knitting project to learn to knit in the round ( 3 free video tutorial). 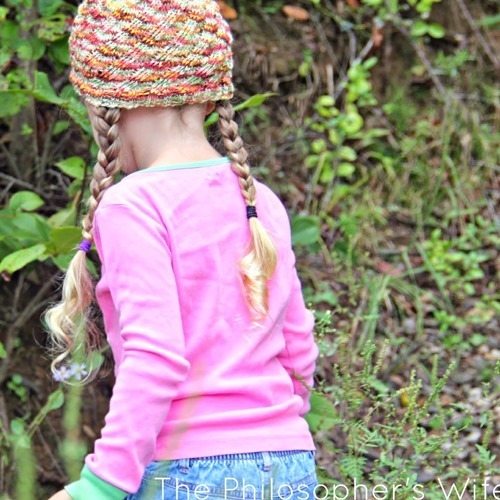 Be sure to check out The Philosopher’s Wife blog to see a lot more adorable photos of this happy little girl’s hat. I particularly like the photo Rachel took of the crown of the hat. A beautiful hat on a beautiful head! Congrads to Rachel for Being Featured here at the Fine Craft Guild. Now it’s your turn. 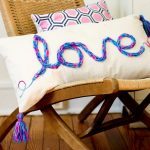 Please share your DIY, home decorating, knitting projects, crochet, sewing, etc. and other creative projects & ideas. How are you celebrating Fall? Show us and thanks for joining us!